The two on the top are my non-quilting “reads”, a novel on CD to listen to while I sew, and a nutrition book to read before bed each night. 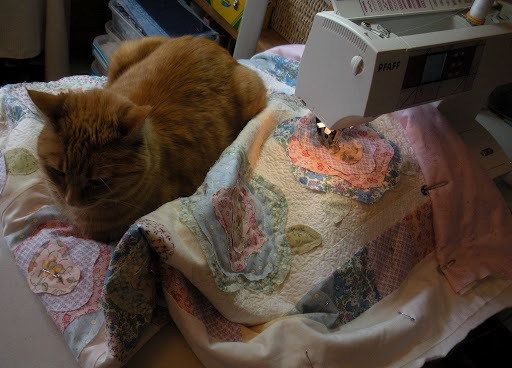 The rest of these babies…all quilting…all the time! And some brand-new, very recently published titles! I mean seriously, these are still on the “new” shelf at the Barnes & Noble stores! This book is actually ten years old, but the info is still extremely relevant. 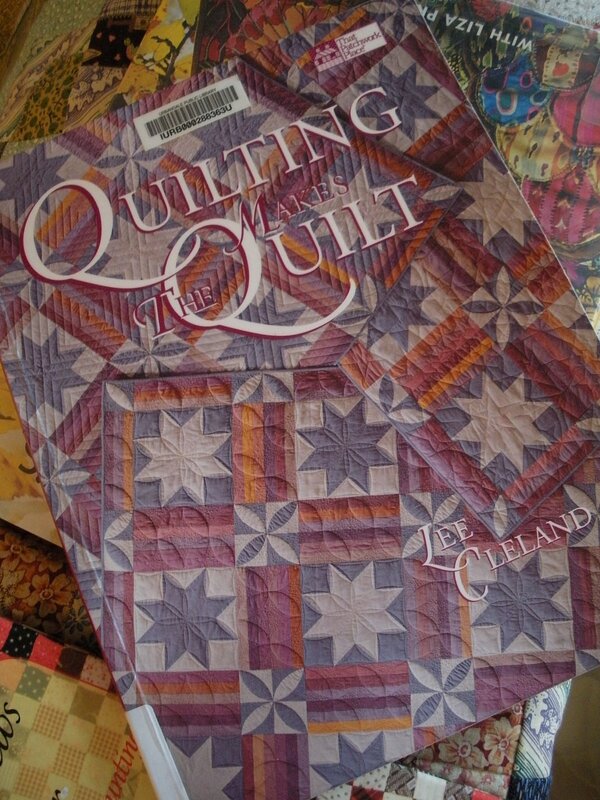 The author, Lee Cleland, made 15 different quilt patterns up into quilts, making five identical quilts of each one (yes, 75 quilts for this book, alone!) Then she quilted each one completely differently to demonstrate how “quilting makes the quilt”. 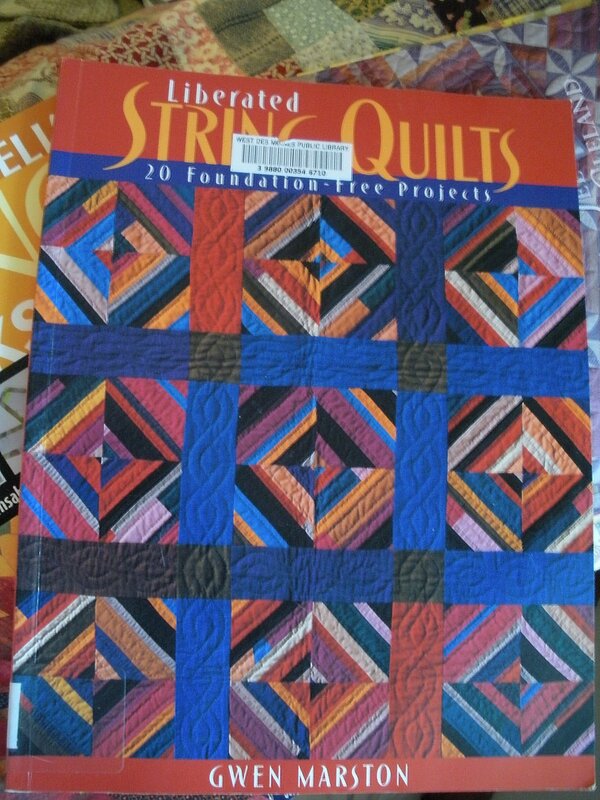 You can kind of see on the cover there three different versions of the same quilt design. I have a used copy on its way to my mailbox already! 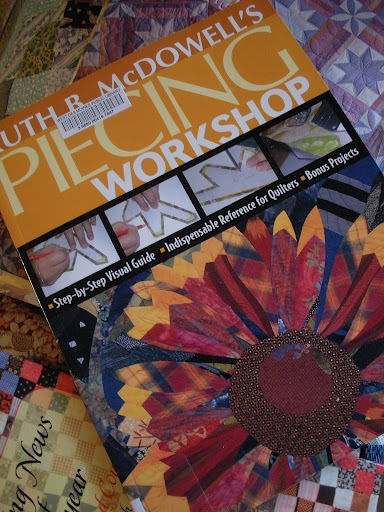 The patterns for making the 15 quilts are in the book as well. And my sweetie and I have both been enjoying this one…it is a compilation of quilt related newspaper clippings from the early 1800s through the early-20th century. I will have to do a separate post highlighting some of the gems from this book! It has kept us in stitches…no pun intended! And finally, I am mastering free-motion quilting!!!!!!! Don’t look too close (if you enlarge this pic) ’cause it is my true effort, meaning not on a practice sandwich. It’s a small scale meander on my French Roses quilt. There are definitely a few ugly spots in there, but most importantly, my machine is finally fixed and I am able to do this!!!! YEAH! Maggy is there to provide assistance, as always… Thanks, Mags. Holy cow, that is quite a stack of books! But so many of them are good! 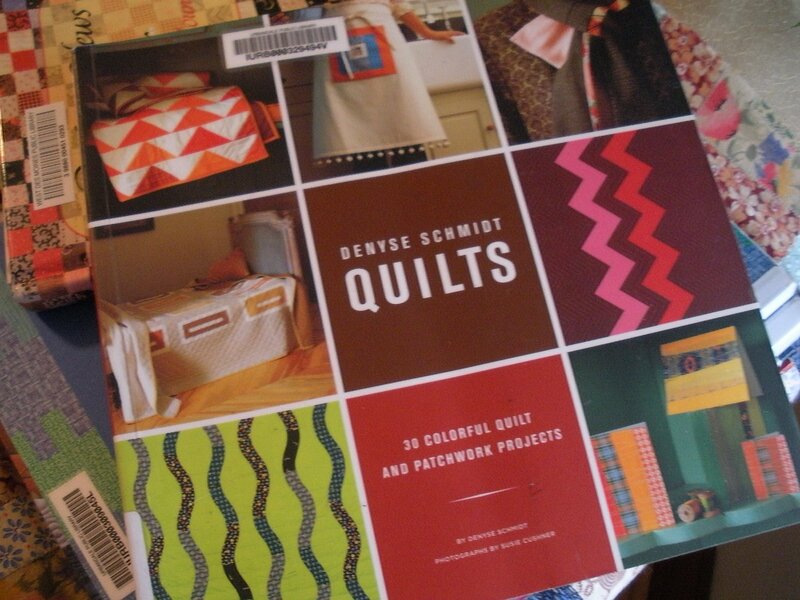 I have the Denyse Schmidt book, and that Quilting the Quilt book, the latter one I really like. I even used it for an art project in my design class. I see a couple other ones in your selection I would like to check, like that string quilt book. I would love to make one of those! Great haul! 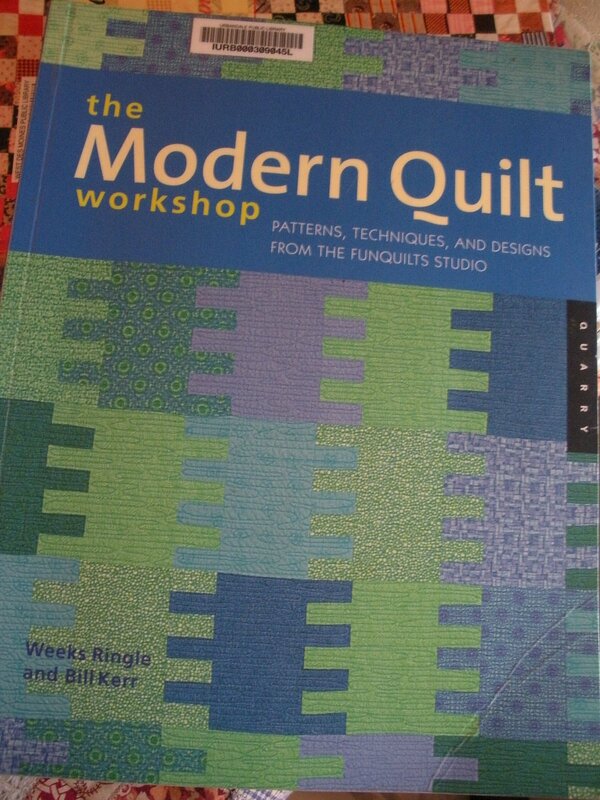 I have the Denyse Schmidt book too, and the Modern Quilt Workshop book was the first quilting book I purchased. I am VERY curious to hear your thoughts on the Liberated String Quilts book, as I too have been obsessed with string quilts of late. I, too, love quilting books. I also have way too many, but enjoy each one for one reason or another. loads of books! 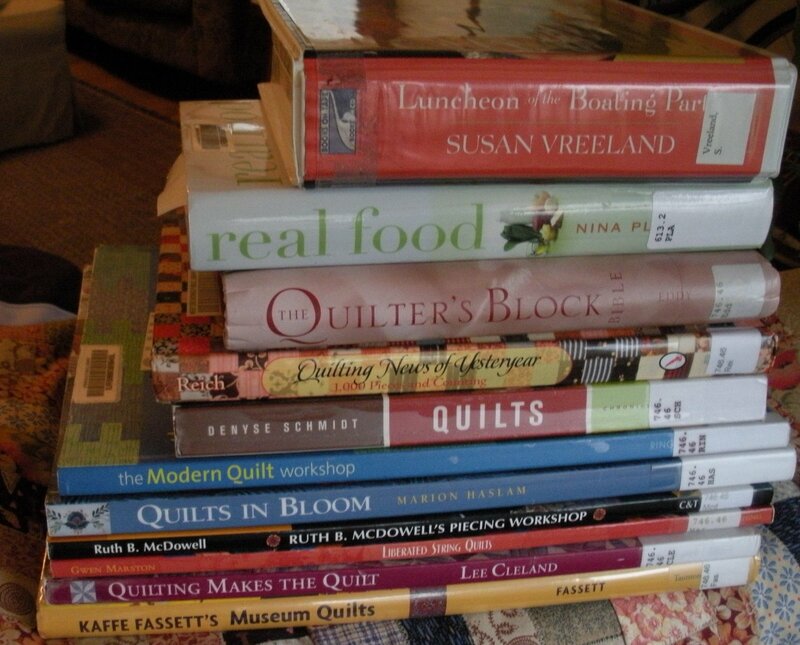 I only have a handful of quilt books. I’ve seen everyone there is at my library…they really need to update! isn’t it great to have the machine working as it should! 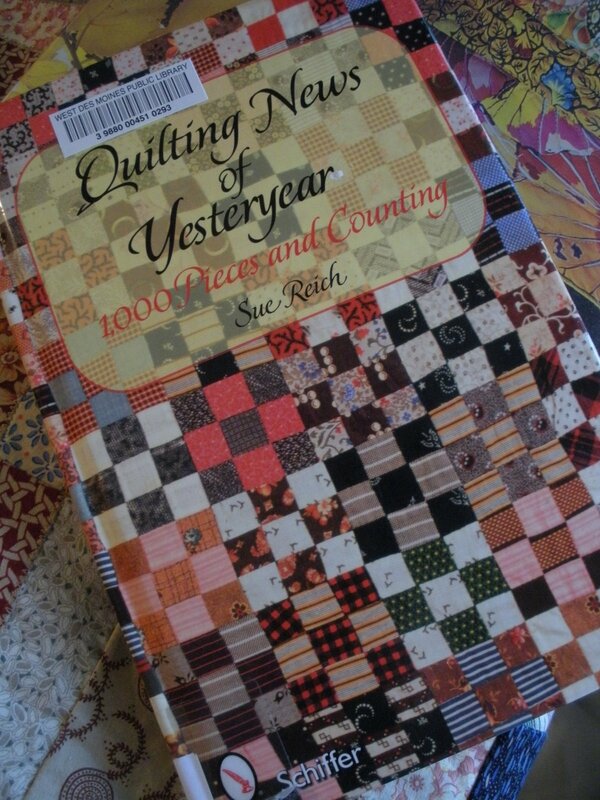 Oh our library is totally awesome with it’s quilting books!! I should hit the library more often. It really is a great resource.